There's nothing I enjoy more than a warm bubble bath and a pamper session after a long busy day (or any day, really). Bath bombs, lotions, body mists, I have a whole cupboard full of, because quite frankly I'm a bit addicted. I simply enjoy things that make me feel and smell like I bathed in a pina colada, it's just my jam. And I'm sure a lot of you girls will relate! 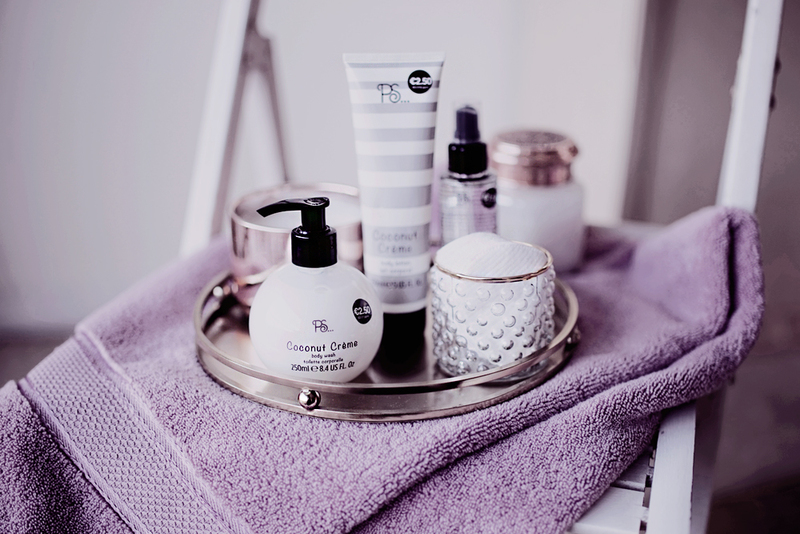 However with an addiction such as mine, you go through the products way too fast which makes it quite an expensive pleasure, so I put aside my premium products for occasional use and pulled out the trusty Coconut range from nothing other but Primark. Obviously the products are cheaper than a cup of coffee yet I feel they work and smell way better than anything you'd find at the supermarket for the same price tag. Have you tried any of Primark's bath & body products? I'd definitely recommend the Coconut Creme body wash, using it feels just as I said, bathing in a pina colada! P.S. There are a few Primarks in US and in many other countries! I love the packaging of the bath and body products. Can't wait to give them a go! These sound so lovely! You're right...a pamper day is always a good idea! I miss being able to shop at Primark. I also happen to love Primark, but we don't have one where I live. I only visit once I go to London. You make these products look so luxurious ! Love your photos as usual ! These look like such great products! Thanks for the review! Your blog photo skills slay! Love the photography in this post; I actually don't have Primark where I live, but I loved shopping there when I visited the UK and was impressed by the homewares section and how inexpensive everything was! Your photos are so great! I adore the packaging of the bath and body products and they sound wonderful too.